Been over a month since i posted last and for good reason, Christmas was a busy time for me with expanding work and decreasing time. Also taken up a new hobby which has absorbed a lot of time over the past couple of weeks. Being as we have a nice size field behind the office and a more than accomodating landlord we've taken up racing petrol radio controlled cars around on a track which the landlord has cut for us. Here's a pic of my new car which i've converted to a wallpaper. Imagine 3 of us racing these around a track, with a top speed of over 40mph on grass and i've got some fun times ahead. 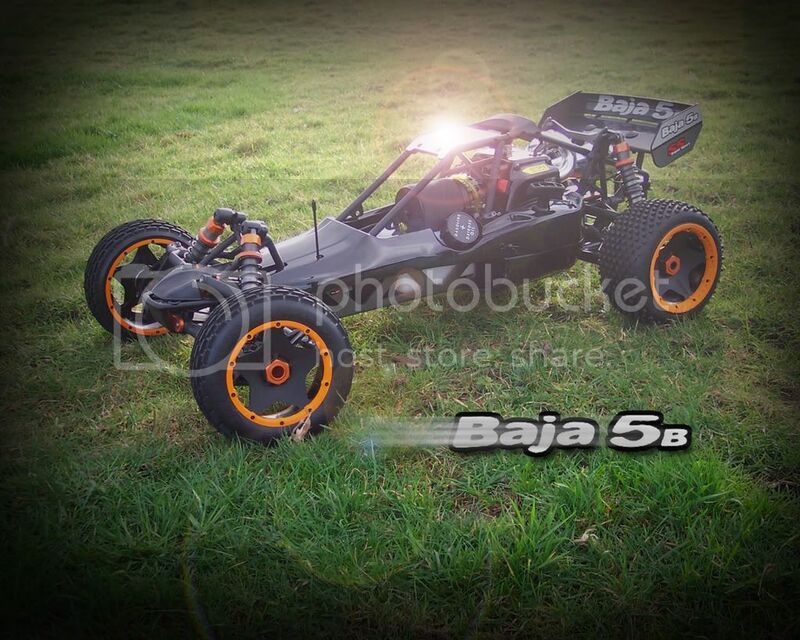 The car is a HPI Baja SS which comes in kit form so the first challenge was to assemble it from the parts myself. Great fun was had and it took less than a week of my spare time to complete. Expect to see videos and more shots in the near future as we get them racing.